Bruce Lively, founder and president of Blue Jay Irrigation in London, Ont., has passed. Hendrika (Riekie) van Wissen passed away on Mar. 6, due to complications related to Parkinson's. She was 81. Beloved wife of over 50 years of the late John van Wissen, who passed away in 2012, Hendrika is survived by her children: John (Sylvie), Margi, and Grace (Steve). Oma is fondly remembered by her grandchildren: Josée, Erik, Jake, Ellyssa, Matthew and Victoria. Hendrika was a woman of many gifts and talents. She was a gymnast, long-time gymnastics coach and judge, librarian's assistant. The van Wissens operated John van Wissen Nurseries and Garden Centre in Brampton, Ont. 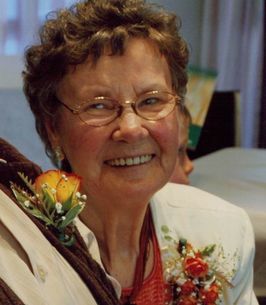 Stoic until the end, van Wissen exemplified strength, faith and perseverance by first nursing her husband through his long illness while battling her own Parkinson's for 25 years. Donations to your local Parkinson's Society would be appreciated by the family.